“Nothing short of remarkable…they, quite simply, bring whatever they sing to glorious life.” That is how the Deseret Morning News described a concert by Calmus, the First Prize Winner of the Concert Artists Guild Competition. 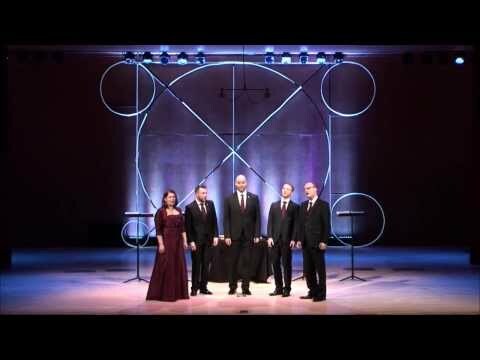 Founded in 1999 in Germany, the a cappella quintet embodies the rich choral tradition of its hometown of Leipzig, the city so closely associated with Bach and Mendelssohn. 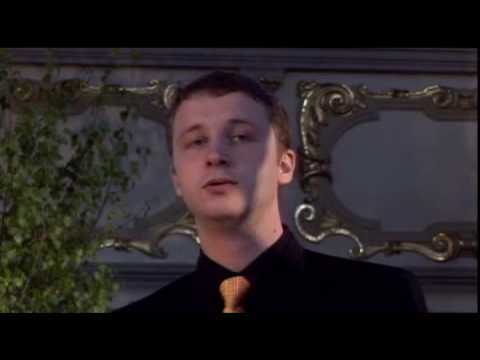 Whether singing music by those German masters or other works in its diverse repertoire, Calmus captivates both audiences and critics with its charming stage presence, flawless technique and entertaining presentation. Highlighted performances in 2017-18 include a return to Lincoln Center Great Performers in New York City, and debut concerts for: The Schubert Club’s Music in the Park Series (St. Paul, MN), Pro Musica (Joplin, MO), and the Cal Poly Arts series (San Luis Obispo, CA). In early 2018, Calmus is also a featured ensemble performing for the Wisconsin Choral Directors Association conference (at The Grand Theatre in Wausau), and for the Western regional conference of the Amercian Choral Director’s Associaton (ACDA) in Pasadena, CA. With nearly 20 recordings to its credit, Calmus current CD’s (Carus label)–Luther’s Collage and Mitten im Leben 1517 (featuring the Lautten Compagney)–commemorate the 500th Anniverary of the Protestant Reformation, and both were selected as Forbes Magazine’s ‘Classical CD of the Week’ (Jan. 25, 2017). Their 2014 Madrigals of Madness album was selected by The New York Times Classical critics among the best CD’s, and their 2015 release, Christmas Carols of the World, led to a special Holiday concert at NY Public Radio’s The Greene Space, with live video streaming on WQXR. Other recent releases include: Mythos 116, featuring six different settings of Psalm 116; Touched, showcasing a unique mixture of classical and popular songs ranging from Purcell and Monteverdi to Elton John and Sting; Lied:gut!, a disc of German folksongs which won the 2009 Echo Klassik Award; and Christmas Carols, Calmus‘ first Holiday CD which was enthusiastically received: “…perfectly balanced ensemble singing…every chord given exacting importance” (Classics Today). include Krannert Center for the Performing Arts, Purdue University Convocations, Ravinia’s Rising Stars series, Washington Performing Arts, University of Iowa’s Hancher Auditorium, Clemson University’s Brooks Center for the Performing Arts, San Francisco’s Morrison Arts Series, Bach Society of Houston and Northeastern Illinois University’s Jewel Box Series (Chicago). US Festival appearances include: the Virginia Arts Festival; Rockport Chamber Music Festival; Chautauqua Institution; Princeton Summer Music and Wisconsin’s Madison Early Music Festival and Green Lake Festival. An active concert schedule worldwide has taken Calmus across Germany, Austria Belgium, Switzerland, France, Ireland, Spain and Portugal as well as Central and South America. 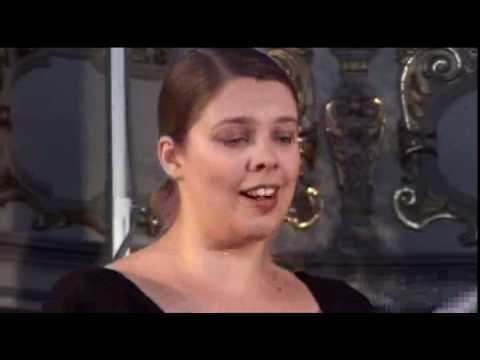 Festival appearances include International a cappella Week in Hannover and the Schleswig-Holstein Festival where the group attended a master class with the King’s Singers. In addition to garnering First Prize at the CAG Competiton, other prestigious awards include First Prizes at the fourth annual Robert Schumann Choral Competition, the International Competition for Vocal Ensembles in Finland and the 37th Tolosa Choral Contest in Spain.